A large corpus of data obtained by means of empirical study of neuromuscular adaptation is currently of limited use to athletes and their coaches. One of the reasons lies in the unclear direct practical utility of many individual trials. 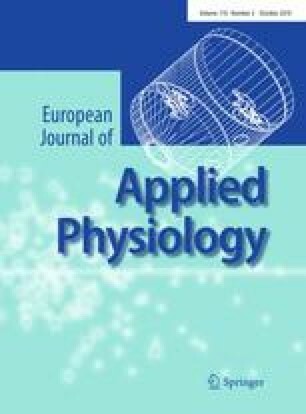 This paper introduces a mathematical model of adaptation to resistance training, which derives its elements from physiological fundamentals on the one side, and empirical findings on the other. The key element of the proposed model is what is here termed the athlete’s capability profile. This is a generalization of length and velocity dependent force production characteristics of individual muscles, to an exercise with arbitrary biomechanics. The capability profile, a two-dimensional function over the capability plane, plays the central role in the proposed model of the training-adaptation feedback loop. Together with a dynamic model of resistance the capability profile is used in the model’s predictive stage when exercise performance is simulated using a numerical approximation of differential equations of motion. Simulation results are used to infer the adaptational stimulus, which manifests itself through a fed back modification of the capability profile. It is shown how empirical evidence of exercise specificity can be formulated mathematically and integrated in this framework. A detailed description of the proposed model is followed by examples of its application—new insights into the effects of accommodating loading for powerlifting are demonstrated. This is followed by a discussion of the limitations of the proposed model and an overview of avenues for future work. The author would like to thank Trinity College Cambridge for their kind support of this research. My gratitude also goes to the anonymous reviewers whose suggestions were invaluable in improving the clarity of presentation.